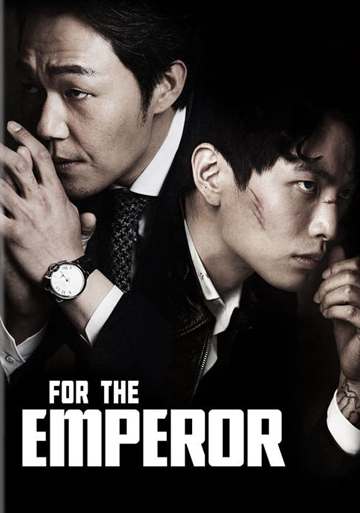 A disgraced baseball player gets mixed up with gangsters and loan sharking in the action-packed crime thriller FOR THE EMPEROR, debuting on Blu-ray™, DVD and Digital HD July 7 from Well Go USA Entertainment. The stylish neo-noir drama from Director PARK Sang-jun (Bank Attack) stars LEE Min-ki (Shoot Me in the Heart, Haeundae), PARK Sung-woong (Shadowless Sword, New World), LEE Tae-im (S.I.U. ), newcomer HAN Jae-young, and LEE Jae-won (The Man From Nowhere). A disgraced pro baseball player goes to work for a mob-connected loan shark, rising through the ranks of money and power. But when his love interest disappears, he finds himself in a deadly battle of wits against his bloodthirsty mentor. Can you dig it? Yes... yes you can!